The iPhone X’s supply chain woes now have the making of a Shakespearean tragedy. Early Wednesday, The Wall Street Journal reported (paywall) that the components of the iPhone X giving Apple the most trouble are named Romeo and Juliet. 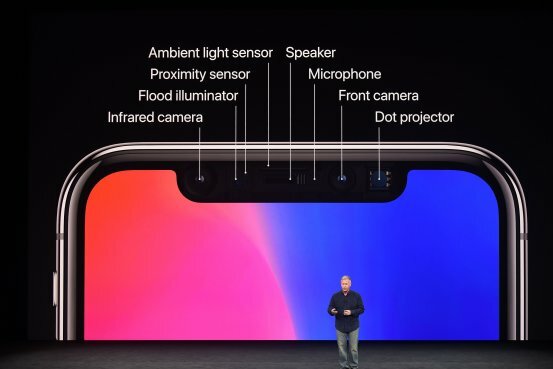 The pair combine to make Apple’s brand new Face ID feature possible, with Romeo projecting the 30,000 invisible dots that create a depth map of your face and Juliet analyzing them to unlock your phone. And though, like their literary namesakes, Romeo and Juliet are destined to be together, the components have tripped up* the tech giant because Romeo takes longer to manufacture than Juliet, causing a supply imbalance and slowing down production. *to make a mistake, or to cause someone to make a mistake. The tests are designed to trip you up. trip up on: I tripped up on a couple of questions. In other words, there are many Juliets in Apple’s factories waiting for their Romeo to arrive. This is just the latest supply chain rumor to loom over the iPhone X’s impending Nov. 3 release date. Previous reports indicated that it was the production of the iPhone X’s edge-to-edge OLED screen — a first for Apple — that was causing most of the issues. Apple was eventually forced to scrap its Touch ID fingerprint scanner for the X because it was difficult to incorporate into the new design. The iPhone 8 and 8 Plus, on the other hand, still have Touch ID sensors, but do not feature Face ID. Before this report, KGI Securities analyst Ming-Chi Kuo had predicted that Apple will not be able to fully meet demand until halfway through 2018. The iPhone 8 and 8 Plus start at $699 and $799, respectively, while the iPhone X starts at an eye-watering $999. Apple’s so-called “future of the smartphone” will be made available for pre-order on Oct. 27, and hits stores Nov. 3.